There are many excuses for not getting a workout done, but time and money are among the most popular. Some people are under the impression that you need to buy weights in order to get a good workout in, or that a gym membership is the only route. But there are at home workouts that can be done anywhere and don’t require weights. 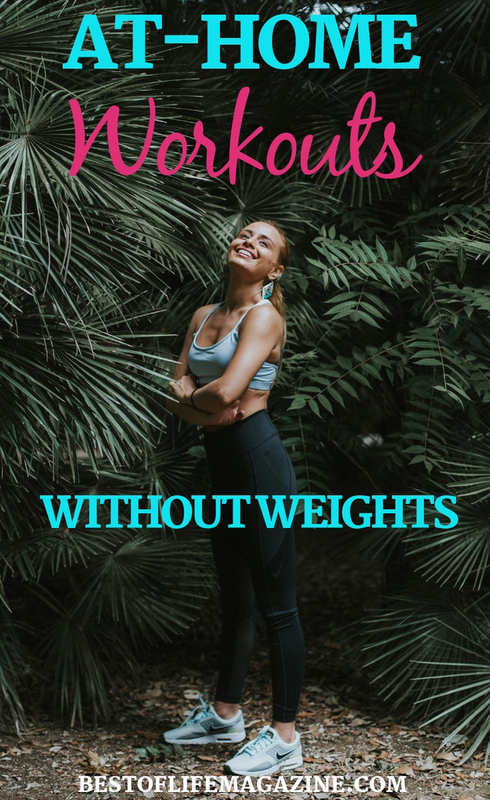 That means not only can you do them when you have time, no matter where you are, but you don’t need to spend a penny on workout gear to reach your fitness goals. 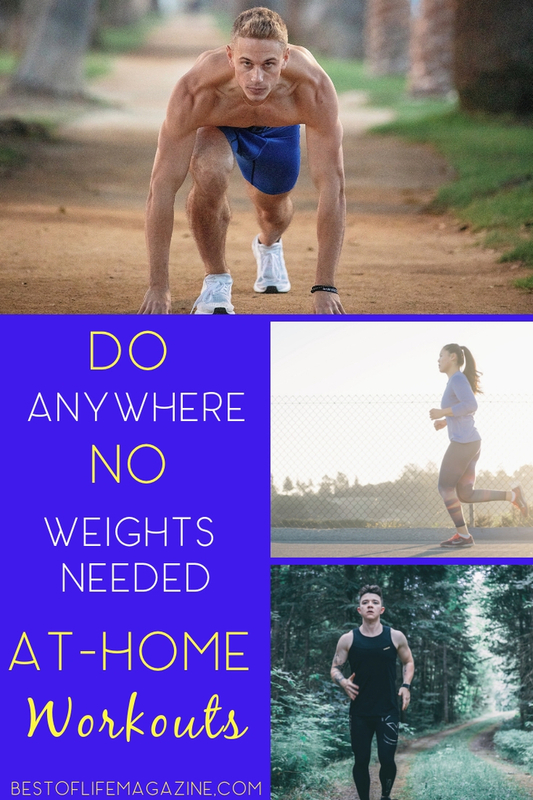 There are no excuses for skipping a workout when you have access to these no weights needed at home workouts that you can do literally anywhere. Considering all the health benefits of regular exercise, it should be a priority for everyone. While weights can add an extra challenge to your exercise routine, they aren’t strictly necessary for a good workout. Some workouts known as bodyweight exercises can get the job done even more effectively than exercises that use weights. Body weight exercises are nice because, inherently, they don’t require a gym membership. They can be done without spending a penny on weights or special equipment. Not only can these at home workouts be done in the comfort of your own home, but they can also be done in a hotel room, on a cruise ship, or at a park while your kids are playing. Simply dress properly and get started wherever you are. Don’t forget to wear good shoes and stay hydrated. The point is, these workouts can be done just about anywhere you feel comfortable doing them and that helps ensure you won’t miss a workout for any reason.